What is at stake is a strategic public relations stunt. 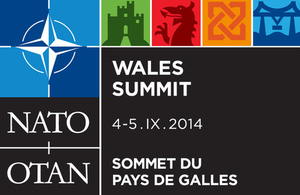 Sixty countries will be represented at the NATO Summit in Wales on 4-5 September including the 28 NATO member states. The media lies “fit the military agenda” already formulated by the Pentagon in consultation with NATO and Her Majesty’s Government. “Leaders [of NATO countries] must review NATO’s long term relationship with Russia at the summit in response to Russia’s illegal actions in Ukraine. 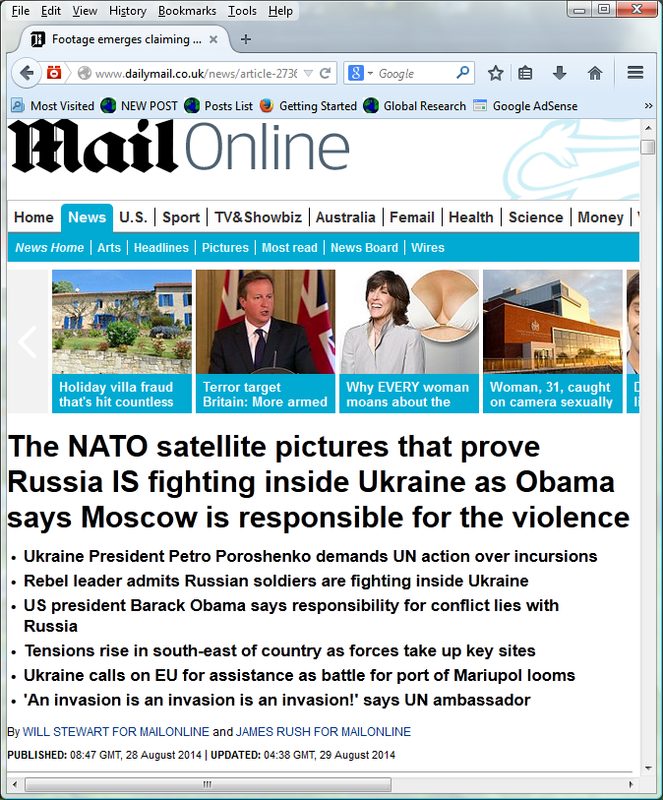 A pretext for an all out war on Russia under a humanitarian cloak? The West coming to the rescue of civilians in Eastern Ukraine? Breedlove’s “Blitzkrieg scenario” which could escalate into a World War III scenario is part of NATO’s summit agenda in Wales next week. In substance it is a “copy and paste” of the draft Russian Aggression Prevention Act (RAPA) (in the US Senate) which directs President Obama to initiate the militarization of Eastern Europe with a view to confronting Russia. 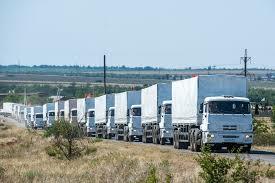 The Convoy of Russian Tanks. Where is It? In support of NATO’s planned deployments to Eastern Europe, the Western media is claiming without evidence that a large convoy of Russian tanks has crossed the border into Ukraine and are operating under Russian command inside Ukraine. 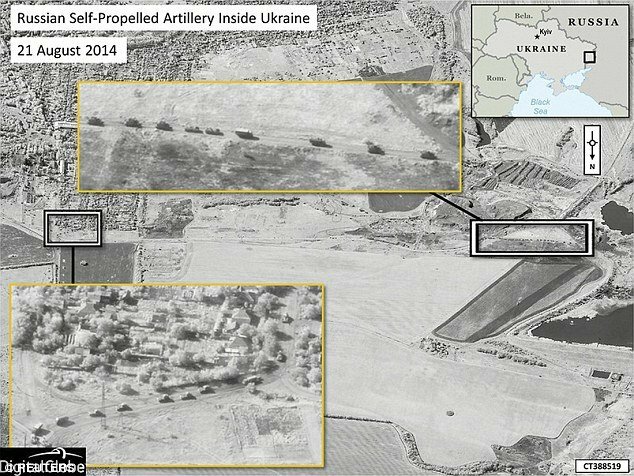 The satellite images released by NATO show tanks and vehicles inside Ukraine, within an area controlled by Donbass forces. Where did they come from? Ironically, these images are not from advanced US-NATO military satellite sources, they are from a digital commercial company operating on the internet. www.DigitalGlobe.com “a leading global provider of high-resolution earth imagery”. While media reports (with extensive photographic evidence). 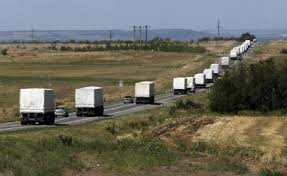 confirmed the entry into Ukraine of a convoy of Russian “white vans” which were part of Russia’s humanitarian initiative, nobody actually saw the tanks entering Ukraine. With regard to the NATO satellite images, there is no indication as to where these tanks and armored vehicles came from and whether they were operated by the Russian military. 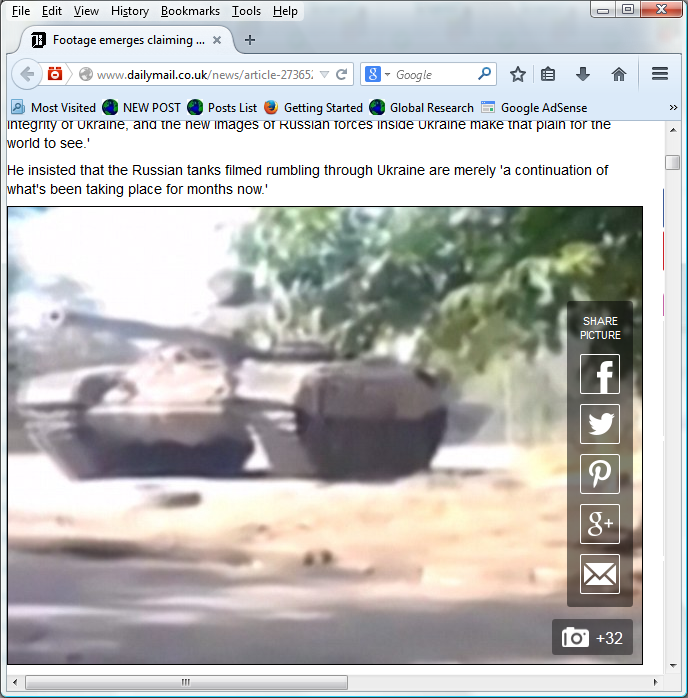 The Daily Mail online featured an unconvincing 20 second video of an alleged Russian tank inside Ukraine (see still image above). Adding to Western concerns, the senior Obama administration official said, artillery has been moved to a deployment site inside southwest Russia and may soon be shipped across the border. It should be noted that this as well as previous “Russian invasions” have been the object of sizable speculative gains on financial markets. 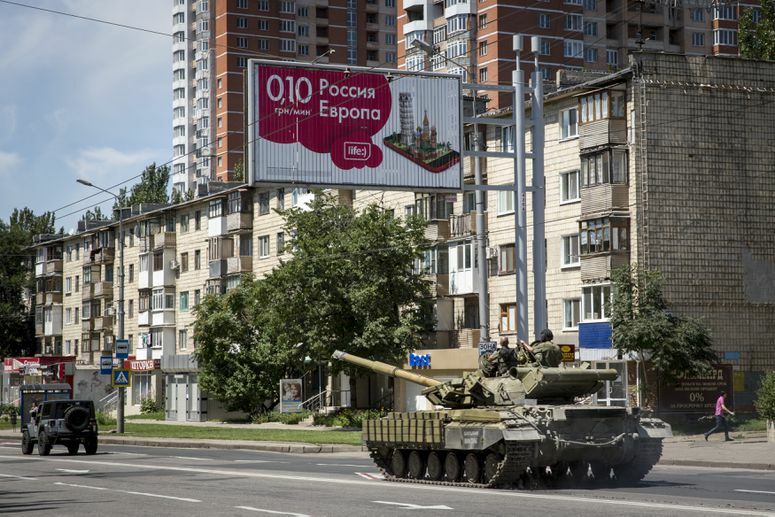 Where are the alleged Russian Tanks? While various explanations are put forth concerning the alleged Russian tanks and armored vehicles, what is never mentioned in Western media reports is that the Donbass militia do not need Russian tanks. Yet the evidence confirms that in the course of the last two months, the Donbass militia have acquired a significant arsenal of tanks and armored vehicles captured from Ukrainian forces. The large loss of military equipment is confirmed by the Ukraine Ministry of Internal Affairs, either destroyed or captured by Donbass forces. Official Ukraine sources acknowledge a significant loss of tanks and armored vehicles. While the above figures do not distinguish between confiscated and destroyed military equipment, Cyberberkut, provides the following data based on leaked official information. 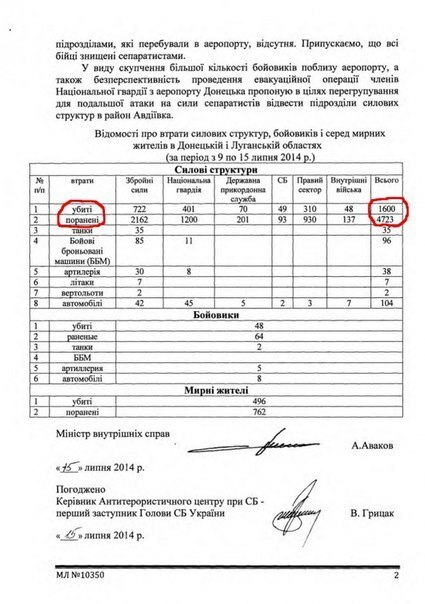 According to Cyberberkut: some 65 tanks and 69 armoured battle vehicles and other military hardware (See list below) were captured by the Donbass militia over a period of less than 2 months (from June 20 to August 15). anti-aircraft mounts ZU-23-2 – 18 units; wheeled vehicles – 124 units. While we are not in a position to fully corroborate the Cyberberkut report (based on leaked official documents), the figures collected over the period of June 20 to August 15 are broadly consistent with the official release. What these two sets of figures confirm is that rebel forces in Donesk and Lugansk possess a significant military arsenal and this arsenal did not originate from Russia. It was captured from Ukraine forces as confirmed by official Ukraine sources. This information is of crucial significance because it refutes the accusations by Washington and NATO that the tanks and armored vehicles identified in Donbass came from Russia. With the exception of some 1000 Russian volunteers under Donbass military command, there is no evidence of Russian forces inside Ukraine. “The 72nd Brigade for all intents and purposes has ceased to exist [in early August] due to ammunition and food rations running out. They held on while they still had resources and then began to exit into the territory of the Russian Federation – at first in separate groups, followed by the surviving remnants of the once full-fledged brigade. More generally, the Western media has failed to cover the war theater in Donbass. More than 2000 civilians have been killed as a result of shelling and bombing by Kiev forces, close to a million Ukrainians are refugees in Russia. The humanitarian crisis is invariably not mentioned by the media and when it is, the blame is placed on Russia. Entire battalions of the Ukraine forces have surrendered.